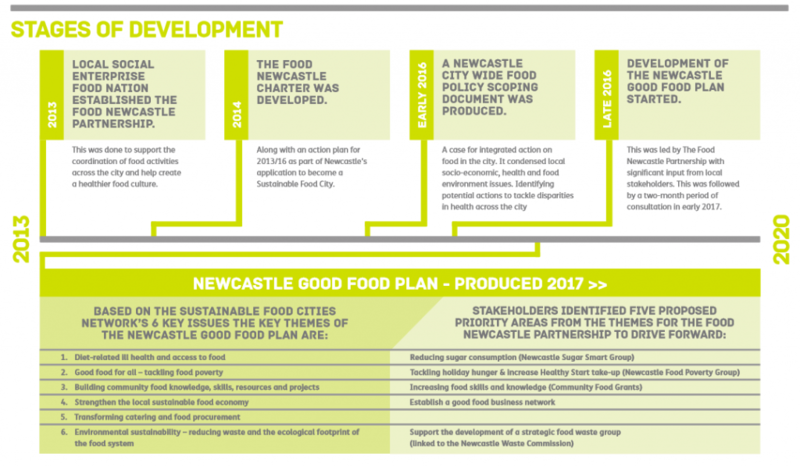 Beginning in 2013 the Food Newcastle Partnership have been developing a sustainable food approach for the city. This has led to the development of the Good Food Plan for 2018 – 2020. Driving the Good Food Plan forward is, the Food Newcastle Partnership, with active support from Food Newcastle and the Newcastle City Council.